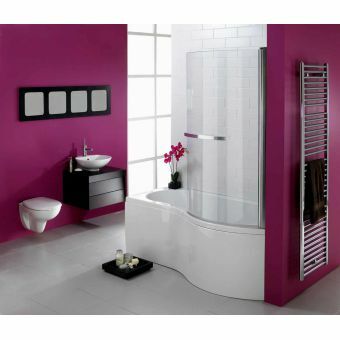 The main picture shows the right-hand bath. 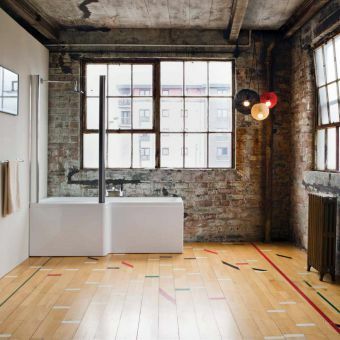 Modern design meets functionality with the Carron Celsius Showerbath. 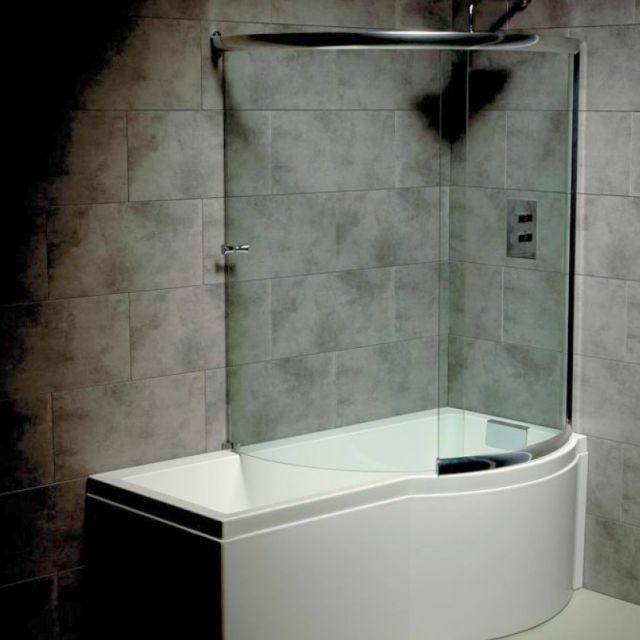 This shower bath comes with a curved screen the pulls out to become a wraparound shower screen. 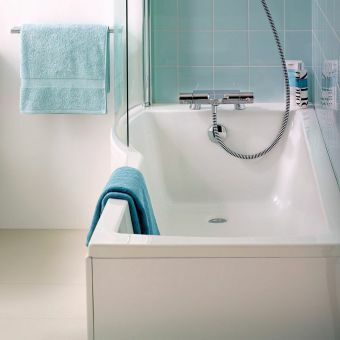 Made of Carronite, a unique manufacturing process, this bath is twice as strong as typical acrylic baths and keep the heat from water far longer than cast iron or steel baths. 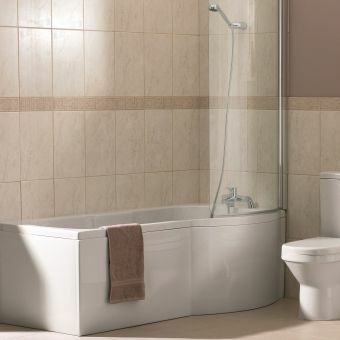 That means that this Carron bath is more durable than most, and is why it comes with a comprehensive 30-year guarantee against manufacturing defects. 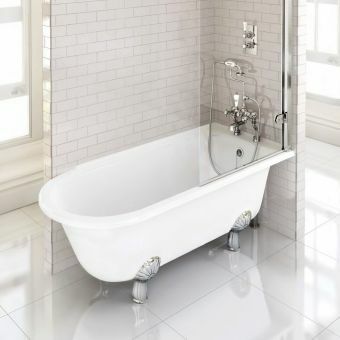 This stunning bath is available in both right hand and left-hand designs, dimensions on this bath are 1700(l) x 750/900(d) x 540(h)mm and it has a capacity of 305 litres. 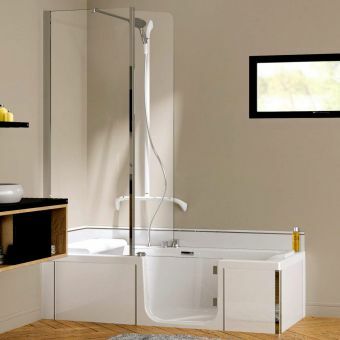 This Celsius Showerbath is the epitome of modern design with sleek lines and its white colour is perfectly neutral and able to fit into any decor. It can be supplied with a front panel for a recess installation, full L shaped panel for a corner installation. The wrap around screen allows maximum showering experience and with a bath overflow filler included with the bath, this exclusive look that will dazzle your friends. A single traditional screen can also be specified if required. 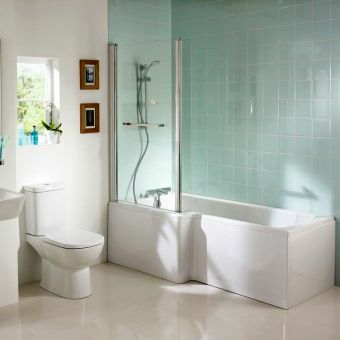 The bath filler requires a valve for water flow and temperature and we can supply these in many different styles here.